This week’s podcast features Penelope Cagney, MA, CFRE, CEO of the Cagney Company on the topic of global fundraising. She has 25 years of experience in planning, development and governance. Penelope began her nonprofit management career at one of the largest healthcare institutions in Chicago and soon after dedicated herself to consulting. She spent seven years with one of the largest consulting firms to nonprofits where she led teams to help organizations achieve significant financial and organizational objectives. She has taught graduate nonprofit management at the School of the Art Institute and Columbia College, Chicago, was a distinguished visiting professor at American University in Cairo, Egypt, and now serves as a member of the faculty of the Nonprofit Management Institute at Arizona State University. Penelope is co-editor of “Global Fundraising: How the World is Changing the Rules of Philanthropy” (Wiley AFP 2013) and “Nonprofit Consulting Essentials: What Every Nonprofit and Consultant Needs to Know” (Jossey-Bass/Alliance of Nonprofit Management 2010). She serves on the Board of Directors of AFP International. She speaks internationally on nonprofit management and fundraising topics. 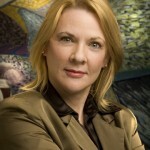 For more information, visit www.thecagneycompany.com and follow her on Twitter at @penelopecagney.